The Trend Analysis tool available under the Reports tab have been enhanced. You can now create weekly, monthly, quarterly, and annual reports. 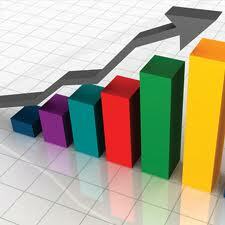 Trend analysis tools are used for comparing and analyzing trends in aggregate survey data. With trend analysis you can plot variables like the mean, standard dev., variance and mean percentile over a period of time and see how the data changes over time. You can also perform "drill downs" to find out more details about a particular time-period. Here is where you can specify if you want a weekly, monthly, quarterly, or annual report. In this example we have gone with the monthly report. For Online Trend Analysis option click on the View Online Trend Tool link. Trend analysis tools are used for comparing and analyzing trends in aggregate survey data. With trend analysis you can plot variables like the mean, standard dev., variance and mean percentile over a period of time and see how the data changes over time?